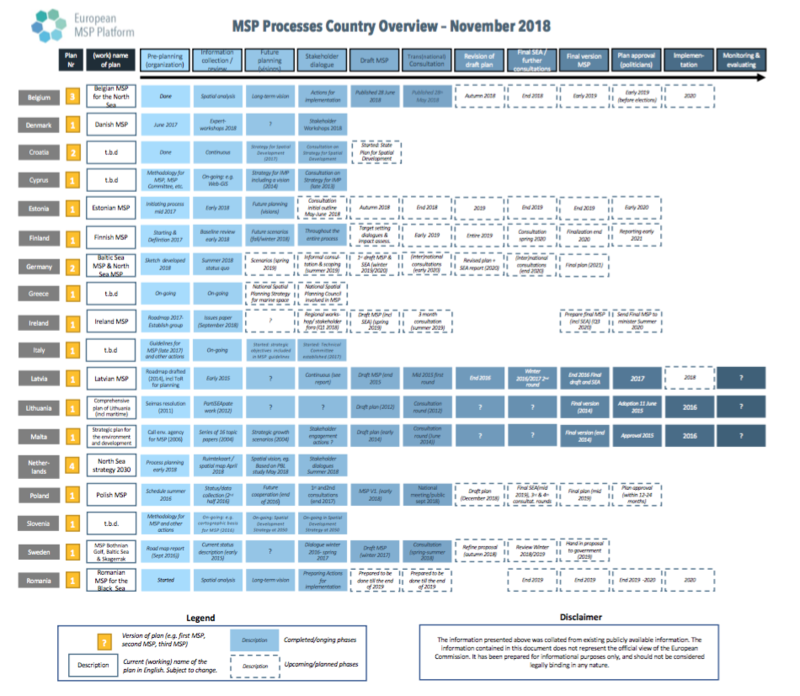 The following tables provide summary information on the status of MSP in countries. Previews of each table are shown in the images below, and the full table can be downloaded as a PDF via the link below each image. The information summarised on this page and in the linked documents does not have any legal effect. 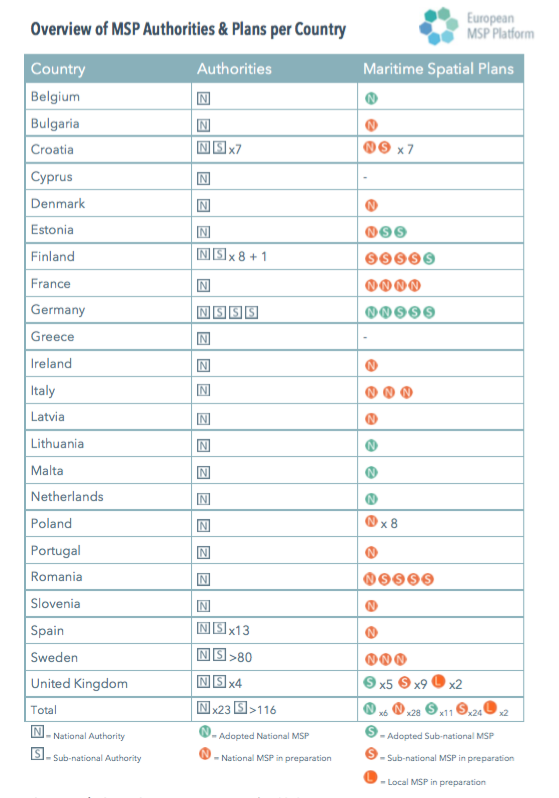 1) Overview of MSP Authorities & plans per country: includes national and sub-national authorities per country coupled with an indication of the status of the national Maritime Spatial Plans (in preparation or adopted). 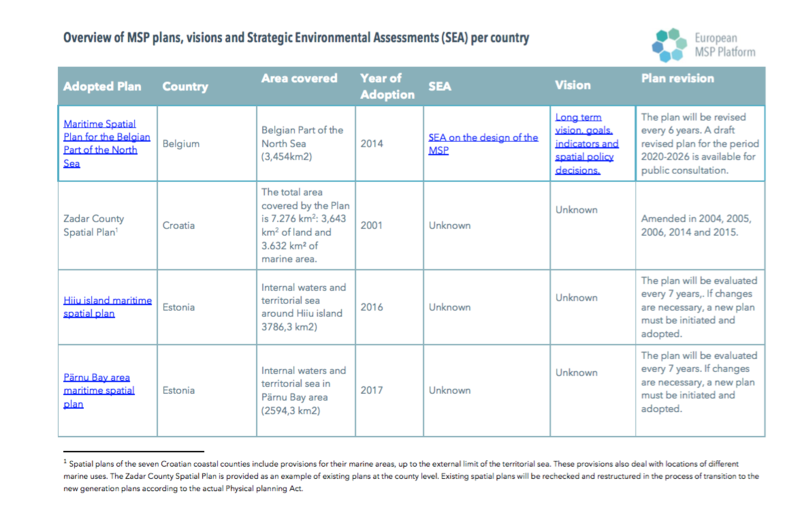 2) Overview of maritime spatial plans, visions, and Strategic Environmental Assessments (SEAs) per country: presents the status of the MSP in the Member States, including the area covered, year the plan was adopted, year when the plan will be reviewed and whether the Member State has developed a vision document or a Strategic Environmental Assessment. 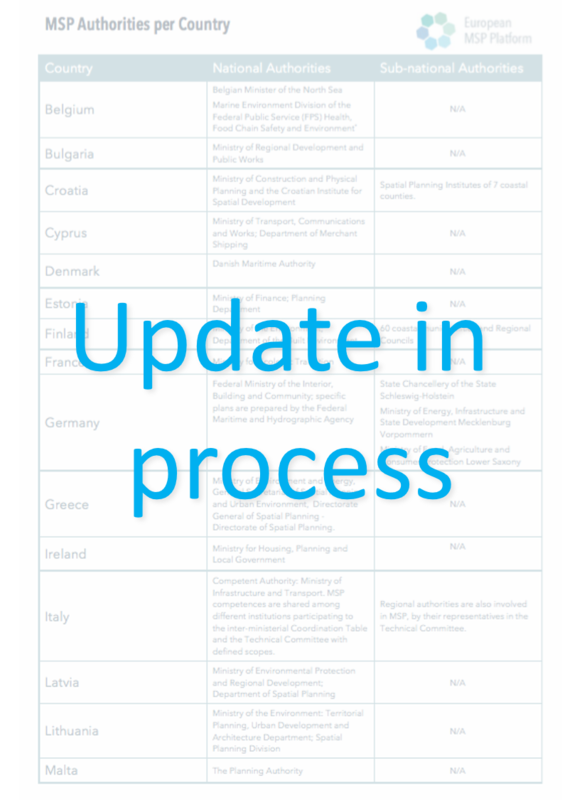 3) MSP Processes Overview: collates publicly available information about stages of MSP development in EU Member States. 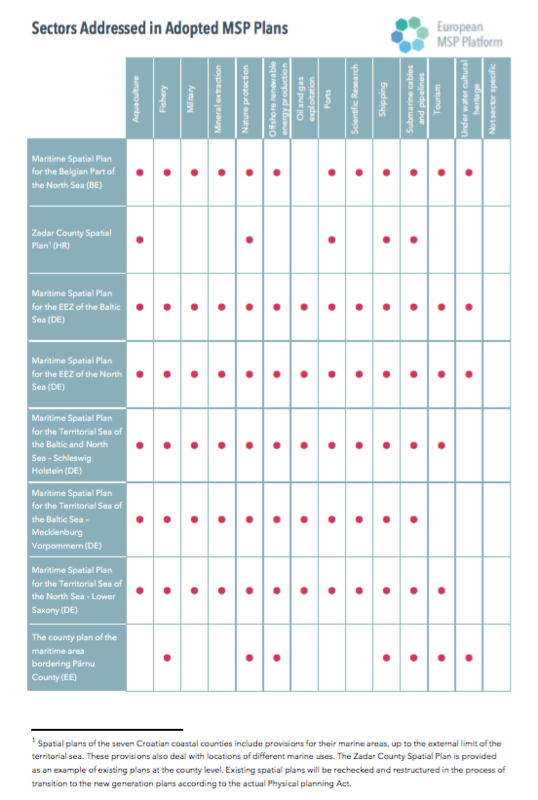 5) Sectors addressed in MSP Plans: overview of the sectors that are integrated in each of the adopted Maritime Spatial Plans. For questions or comments, please take a look at our Questions and Answers service or submit a question here.